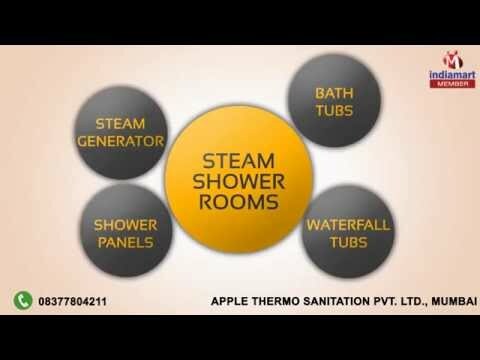 Welcome to Apple Thermo Sanitation Private Limited, established in the year 1995, we pecialized in Manufacturing and Designing Bathroom Products suitable to Indian Conditions and Lifestyle, offering luxurious bathing experience to its customers. Having its base in Mumbai, 'Apple' has built a promising reputation for itself and is working towards becoming one of India's most promising bathroom products manufacturers. The Company has recently diversified into sanitary ware and is launching innovative models that complement the decor of a Modern and Luxurious Bathroom. Our Bathing System has several products in its portfolio like Acrylic Bath Tubs, Whirlpool Systems, Shower Panels, Shower Enclosures, Steam Generators, Sauna Bath Systems, Pressure Booster Pumps and customized bathroom solutions. Apple is proud to participate as the leading role in this specialized industry and is moving forward on many levels such as Product Development, Brand Name awareness through periodical Advertising, Sales, Training, and much more.